Rightmi.com recommendation is for Alan Arcand. We have described in other articles here of the current incumbent’s inability to understand the power of congress. Elected as a ‘Tea Party’ candidate Dan Benishek failed on all levels of political activity, and fell in line with the worst of establishment Republicans earning the next to lowest conservative rating from the Heritage foundation of all Michigan’s Republicans, only second to noted RINO Fred Upton. Benishek’s service to the VA should have given him an especially good look at the inner workings of the VA, and as oversight for the last few years, it seems he is at least as culpable as the administration that Republicans are targeting on this issue. This neglect of our veterans would bite him in November when facing retired two star general Jerry Cannon who will capitalize on it. Democrats are COUNTING on Benishek being the GOP candidate. Arcand on the other hand offers a fresh chance for Republicans to get it right. As a disabled vet, he takes the opposition tactic off the table. He understands Congress’ role as defined by the constitution, would not be afraid to withhold money from an out of control administration that has already threatened Upper Peninsula residents on the electrical grid alone. RightMi.com recommendation is for Justin Amash. There are few who have stood for the constitution as has Amash. Not only has he defied the ‘conventional wisdom’ of DC, he takes the time to explain his votes and issues advocacy. Naturally we disagree on some issues of great import, but Amash is a fine example of how a legislator should behave. 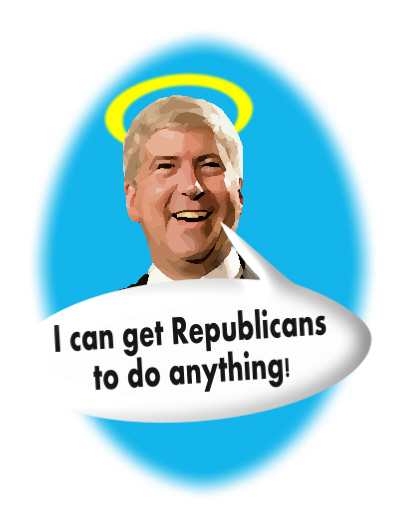 Ellis’ role in Michigan’s cronyism is NOT something we would like to export to our nation’s capitol. We have enough of THAT thank you very much. RightMi.com Recommendation is Peter Konetchy. We can play the “who is electable” game on this, and wind up with another ‘Dave Camp,’ or we can stand on principle and probably wind up with another ‘Rick Snyder’ buying his way into an elected office. John Moolenaar is preferable to Paul Mitchell who is a Stabenow supporter, but Peter Konetchy’s only flaw is a lack of bling and is somewhat of a bad campaigner. Konetchy is the best man out of the three however, and actually understands the constitution. RightMi.com recommendation goes to Jim Bussler. Upton has served too long, and is part of the problem. This author rejected Upton’s light bulb ban fail enough to invest in and market a modified LEGAL version of the incandescent bulb Upton’s law would have banned. Heritage ranks Fred Upton at the BOTTOM of Republicans in its 2014 conservative score card. As they say, “Diapers and politicians need to be changed often,” and for the same reason. RightMi.com Recommendation is for Tim Walberg. We recognize that Tim needs to step up to the plate on constitutional issues, but we also recognize ‘touched‘ when we see it. Anyhow, as a plus for the incumbent Tim Walberg recently authored H.R. 5212, the ‘Civil Asset Forfeiture Reform Act,’ which seeks to restore personal property rights under the Fifth Amendment and ensure due process of law by reforming long-standing civil forfeiture policy. It puts a little more teeth into the due process um ..process. RightMi.com has long been a supporter of Representative McMillin, and recommendation for this seat goes to him. Few have stood out in front like Tom McMillin on issues both fiscal and social. He has shown principle over party often enough to be trusted with a seat in congress, and the handling of our trust. There will be no guessing how McMillin might vote on issues of constitutional importance. In contrast, Mike Bishop is backed by too many ‘king makers’ who have agendas that often lead to compromised decision making. Bishop’s record shows might be fine for state wide executive matters but NOT as a member of the people’s house. Money and establishment favoritism ought not keep us from having a solid principled man from serving Michigan in the eighth district. 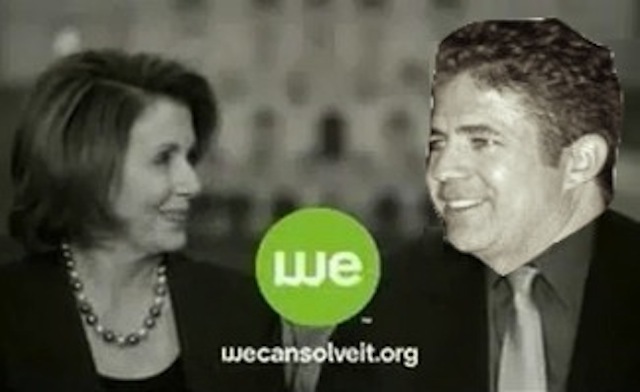 Ninth Congressional District – no recommendation. Tenth Congressional District – no recommendation. 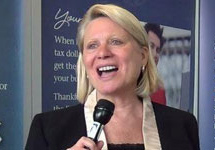 RightMi.com Recommendation is fully and completely for Kerry Bentivolio. In 2012, Kerry Bentivolio was outside the GOP convention in Detroit and for the most part ignored by attendees. Little did anyone know at the time that the candidate he ran against in the primary (incumbent Thad McCotter) would soon be disqualified. He was prepared however and it happened. Power and money unfortunately breeds the worst in folks, and soon the establishment mounted a campaign to replace him with one of their hand picked [self financing] sock puppets. Now, another candidate, supported by the Establishment GOP and K street, and with even more money than the last is trying to take out the guy with the second highest Heritage conservative rating for Michigan. 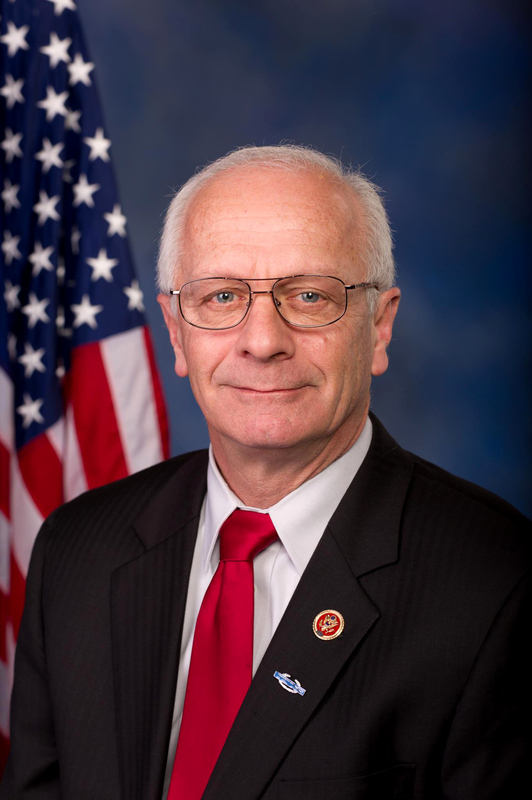 Kerry Bentivolio has done a respectable job, and will be outspent ten To one. We hope the eleventh district sees through the full color glossy version of power envy that David Trott represents, and vote for the solid conservative Kerry Bentivolio. Twelfth Congressional District – no recommendation. Thirteenth Congressional District – no recommendation. Fourteenth Congressional District – no recommendation. RightMi.com recommends a ‘write-in’ candidate of your choice. Rick Snyder has not earned the nomination of the Republican party in our view, offering in the last four years, a path to higher taxes, expanded welfare, and a liberal bridge building project that threatens a Michigan family business at a high cost to taxpayers in the future. Add to this, a questionable contract to a family member worth millions, hiring Chicago liberal Baird, hidden expense records for NERD fund, and continued taxpayer funded pay-for-play MEDC boondoggles. Highlighting his ‘its all about money players’ attitude is a recent association with former FED chair and Goldman Sachs president Hank Paulson. Sock it to the family-destroying ‘left’ and squishy side of the GOP by sliding a “Dave Agema” write-in on that ballot. It will have ZERO effect on the general election. Right? RightMi.com had no recommendation planned as it is a CONVENTION DELEGATE elected position. Having said that, the ‘establishment’ (Michigan Advocacy Trust) has issued specially patriotic themed mailers designed to trick those who have conservative values into thinking that the names on the mailers are the true conservatives running for delegate. In this region, several delegates have been recommended who are as left leaning as Mark Schauer or Michael Moore. For THIS reason we recommend electing delegates not included on the mailers you receive unless you KNOW them to be ‘fo-real’ conservative. RightMi.com has no recommendation. Maybe. The PPT is an EVIL and STUPID tax, and should be repealed in its entirety. However, it does NOT require a vote of the people to remove it permanently. The legislature recently offered an $80,000 and under waiver to small business, however the legislature has also decided to hold its repeal over our heads as a threat if we do not pass prop 14-1. Of course SOME local governments apparently have nearly half of their budgets paid for by PPT generated revenue. The proponents for 14-1 argue that its passage could increase Michigan jobs by as much as 15,000. We would argue that the potential is even more, yet we could also argue that its repeal is already advocated by that number alone. In other words, why wait for voter approval? Bridge Magazine also points out that as a possibility anyhow. In the end, RightMi.com will make no recommendation on this proposal, but expects 14-1 to fail based on the confusion factor alone. A ten bill package inappropriately presented as a panacea for business and jobs growth is too much for most voters to grasp all at once. Add to this, the manner in which government (state and national) has made inaccurate policy analysis of fiscal effects previously, it will certainly be an uphill battle. RightMi.com recommendation is to get behind Ruth Johnson and fill in the blank even though there is no opposition on the ballot. Bottom line is that Ruth speaks truth for all Michiganians, has effected voter integrity, utilized technological advantages for efficiencies and had been a champion for transparency. No matter where you are on the political spectrum, it should be impossible to argue against all or any of the above. Ruth is the top of our ticket. RightMi.com recommends supporting Bill Schuette now and going forward. We can disagree with the Attorney General on nearly ALL of his endorsements, and a few of his departmental faux pas in dealing with our friends the Baker’s. However, he is fighting for our constitution on a number of issues including the defense of marriage. Let us add that in order to make the right decision, all one has to do is remember this: 1-800-CALL-SAM. In regard to North's website - lose all the videos. I'm not going to waste my time going through a damn video to figure out what I'm dealing with. Maybe someone can enlighten me on what the hell his "JFK" and "Walberg's Soul" are about? I sampled the videos.. saw enough. I beg to differ on the case you stated in favor Bill Schuette- on your claim he's fighting for our constitution regarding the defense of marriage. That particular case was an embarrassment in the way it was handled, and IMO, was a false flag operation designed to give him plausible deniability while making a half-assed attempt to defend the will of Michigan's citizens. Using a college student as your lead witness was more than a faux pas, it was an outright gimme to the radical left wing of the GOP and their supporters in the Democrat Party, and an obvious loser from the get-go- by design. When coupled with numerous other examples of questionable leadership and managerial oversight, including repeated illegal and repugnant behaviors of his crew of Assistant AGs, I'll be damned if I'm going to give him my vote of approval at the ballot box. Point taken. Thank you Tim. As always you provide a valuable perspective. I recommend writing in Marquette County Circuit Judge Thomas L. Solka for Michigan Attorney General. Solka declared Michigan's tyrannical "Invasive Species Order" banning some pigs unconstitutional “because it denies equal protection to owners of the animals and is so vague that it’s hard to tell which the policy covers and which are exempt." That bum Bill Schuette is appealing the obvious ruling! Let's send Bill Schuette the MESSAGE that we are against tyranny! 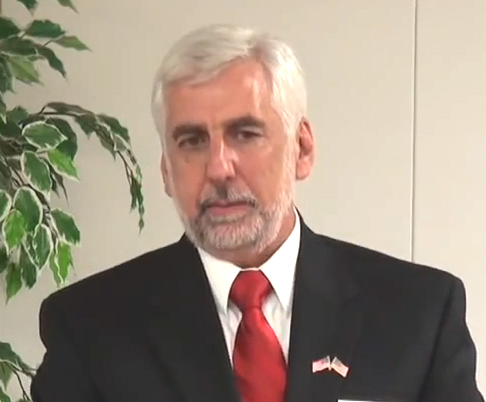 Please consider writing in Thomas l. Solka for Michigan Attorney General. Do you know if Judge Solka filed to run as a write-in candidate?